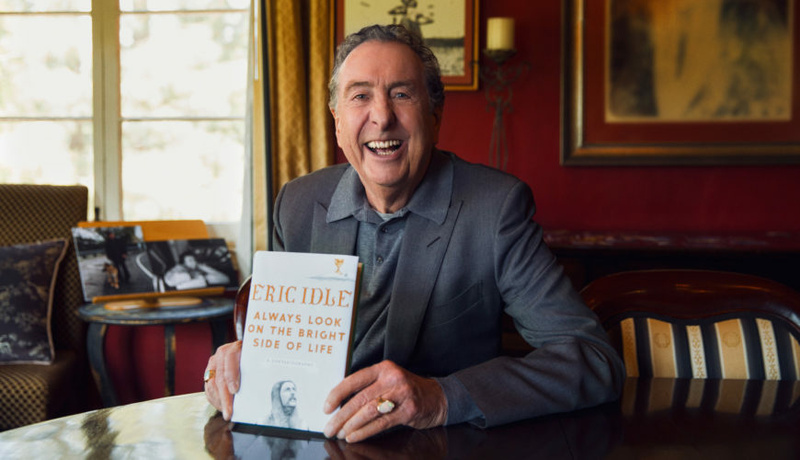 Former Monty Python member Eric Idle has written a memoir, of sorts. When Brazilian singer Luciana Souza moved to the U.S. in the early 1980s, she didn’t speak much English. At first, she developed a virtuosic style of wordless music and Brazilian jazz. Later, her catalogue expanded to include experimental jazz, classical and chamber music. In 2007, she won a Grammy for her participation in Herbie Hancock's album, "River: The Joni Letters." Now, she applies her wide musical palette to adapting poems to original melodies. Her latest album, “The Book of Longing,” is dedicated mainly to the poems of Leonard Cohen, who was also a close family friend.